An NBC4 I-Team investigation found that some Los Angeles County voters received multiple ballots in 2014. A new report by the Los Angeles County Registrar's Office said some voters received multiple ballots for the California state primary election in June, but also defends the job the county is doing to maintain accurate voter rolls. The report was ordered by the LA Board of County Supervisors after an NBC4 I-Team investigation showed possible duplicate ballots mailed out to hundreds of voters. The NBC4 report also showed a number of ballots went to people too young to vote in the election. "I received two ballots," says Jessica Garvin, who says she did not vote twice in the June 3 primary. "I’d be more interested to find out how many double are out there." A NBC4 investigation turned up more than 1,500 possible duplicate ballots. The Supervisors report said only about 60 pairs appeared to be likely duplicates, but it also said "for a majority of the records, there is information to suggest a potential duplicate." The registrar admits there is work to be done. In testifying last month before Supervisors, Registrar of Voters Dean Logan said, "if there are things that should’ve been caught by our standard algorithms and protocols, then we need to correct that." The report also addressed underage people receiving ballots. MacKenzie Bright (who is related to an NBC4 employee) won’t be 18 years old and eligible to vote until October, but she registered early online, and found a ballot for the June primary in her mailbox. "I was surprised, and concerned that I’d gotten it even though I can’t vote," Bright said. The Registrar’s report admitted a computer error was to blame. 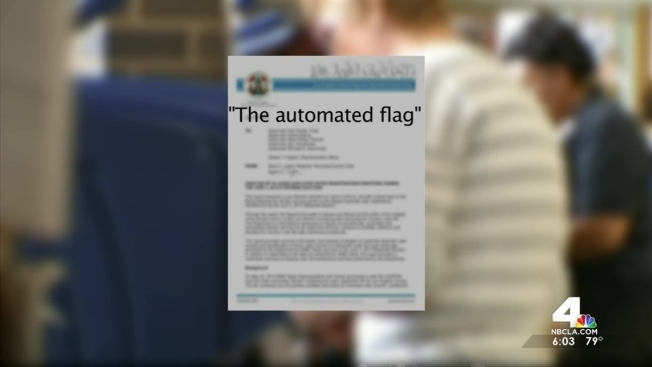 According to the registrar’s analysis, "the automated flag intended to inactivate those records until the applicant is eligible had been inadvertently disabled." The NBC4 "report helped to identify the case of a number of under 18-year-old voters who received information that we might not have known about," said Efrain Escobedo, of the Registrar of Voters Office. The report concluded despite some irregularities, "there was no imminent threat to the integrity of the election."